Having just returned from a highly successful research expedition in Antarctica, NIU geologists Ross Powell and Reed Scherer appeared as guests during Tuesday evening’s broadcast of Chicago Tonight on WTTW11. The interview and a Q&A with the researchers is available online. Powell led a National Science Foundation-funded science team that became the first ever to reach and sample the “grounding zone” beneath the Ross Ice Shelf, where Antarctic ice, land and sea all converge. In doing so, the scientists opened a window into a previously unseen and otherworldly environment. 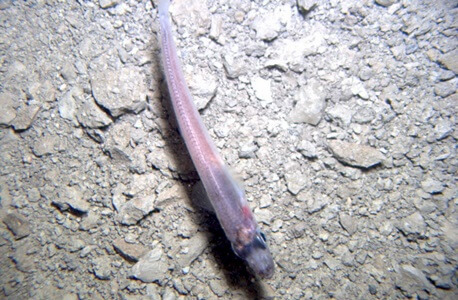 They were stunned to discover fish and other marine animals living beneath a half mile of ice in perpetual cold and darkness, posing new questions about the ability of life to thrive in extreme environments.